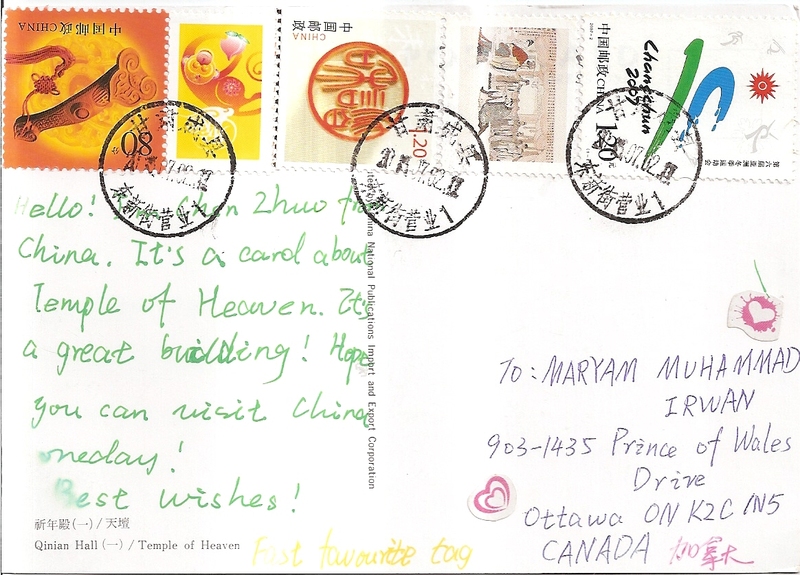 Another postcard from China, this one is from Chen Zhuo for fast favorites tag in postcrossing forum. Hence this postcard is on my favorites wall in postcrossing profile. 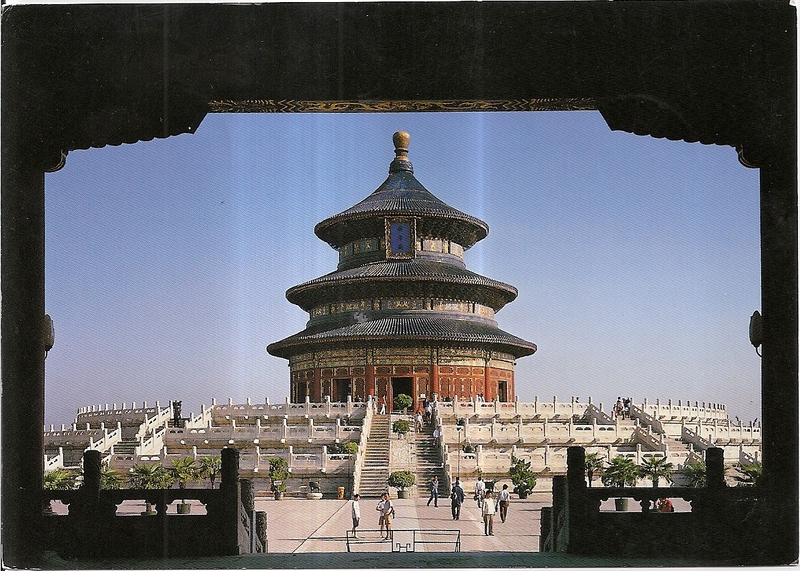 The postcard features the Temple of Heaven in Beijing, a UNESCO World Heritage Site. At the back, Chen affixed three postage stamps and two vignette stamps. The postmark date is 2 July 2013. 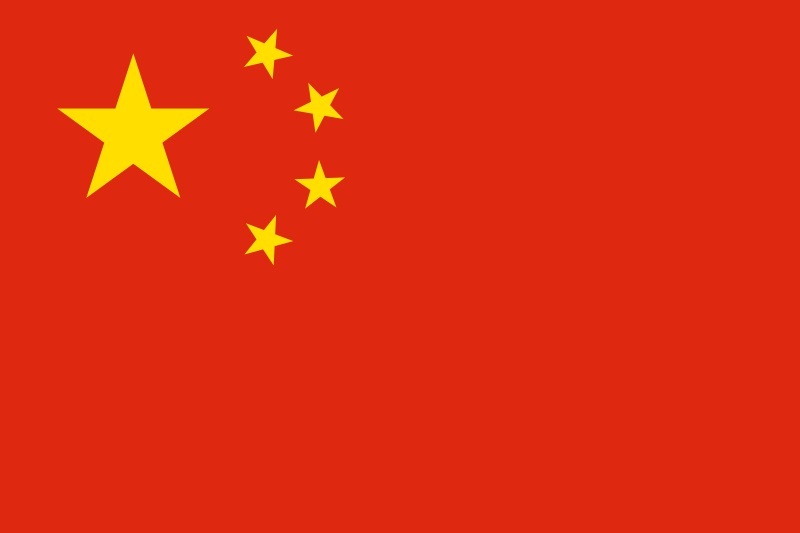 Thanks a lot Chen!